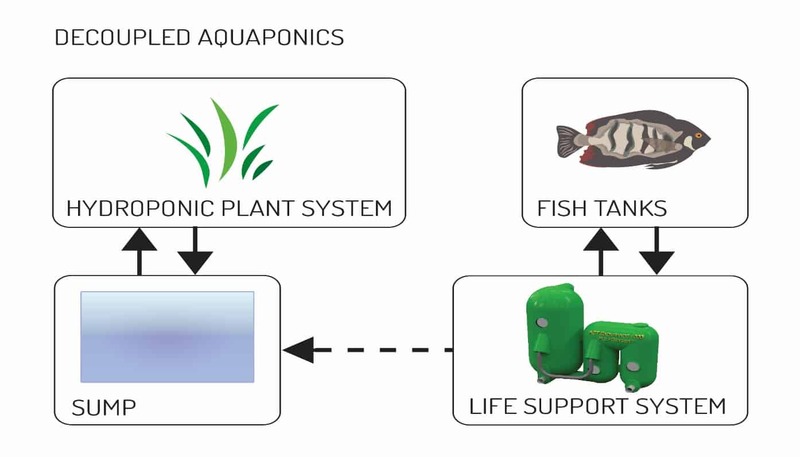 Aquaponics merges aquaculture, the raising of aquatic animals, with hydroponics, growing plants in water. 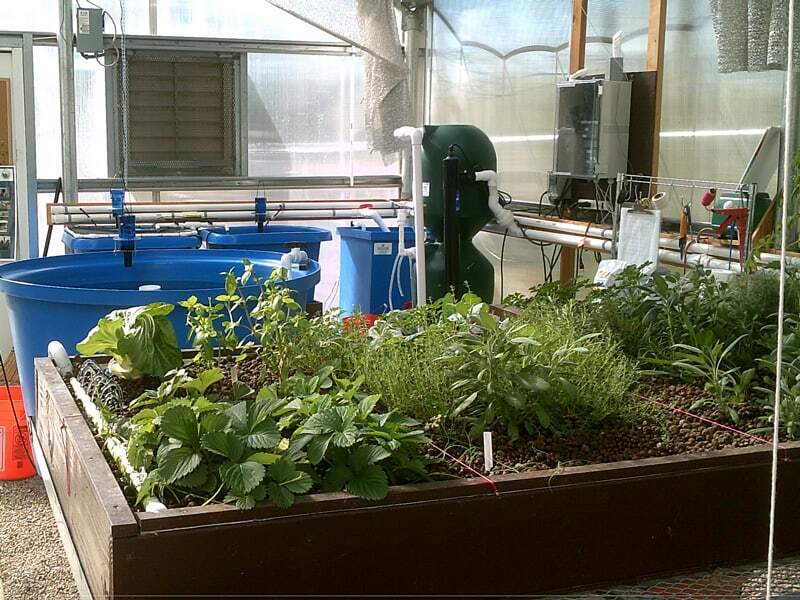 Small scale home aquaponics systems can be located in urban areas or your backyard and provide all of the benefits of growing your own food. Combined with our innovative filters and filtration systems, your small scale or home aquaponics environment will be able to grow healthy, nutrient-rich crops and fish in a small footprint, using minimal water. 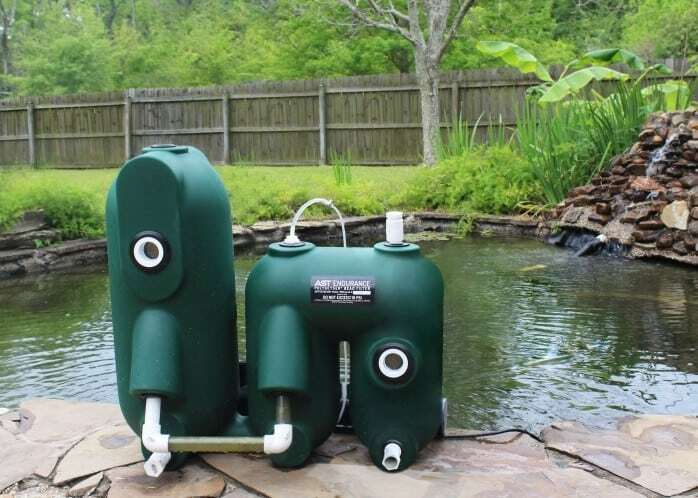 AST filters provide predictable and safe water quality for your fish crop, while capturing and transforming the soluble and solid fish waste into biologically available nutrients for your plants. 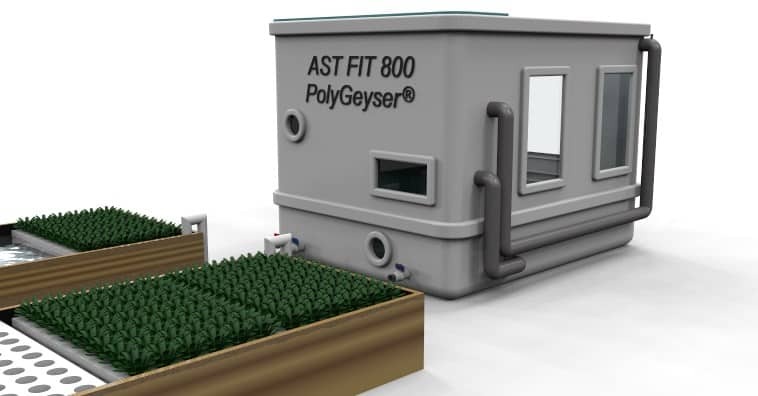 AST bead filter technology, often used in high density aquaculture, has been adapted specifically for smaller scale aquaponics environments and home use. Simplify your maintenance! Imagine never manually cleaning your filters again! 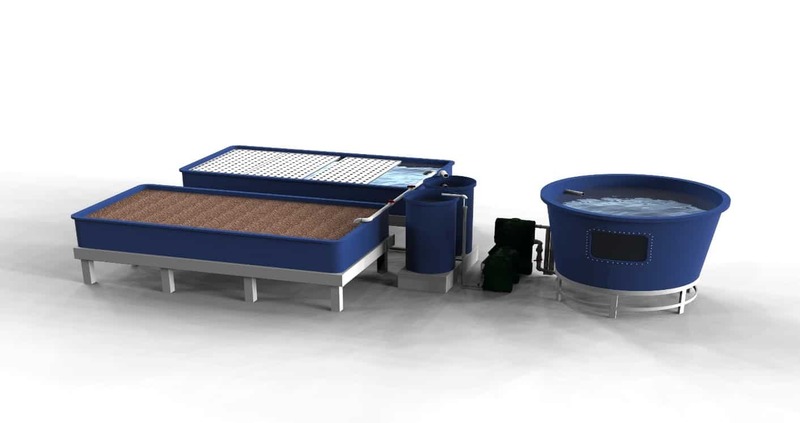 Plus the automated backwash minimizes water loss so your whole system can process as efficiently and sustainably as possible. The Pure Aquatics team of aquaponics filtration experts is ready to help you plan and build your ideal system today. Pure Aquatics recommends a decoupled system design. Decoupling the system means that the fish and the plants are not in a continual loop. What does that all mean? Less worry, less plumbing, faster setup, and more time farming! Need an easy-to-use system for showcasing your fish? This tank is a completely integrated 3000 Litre filter-in-tank system with large viewing windows.